Be sure to catch the Wisconsin Paranormal panel at the upcoming Wizard World Comic Con in Madison for tales of Wisconsin’s real-life X-Files. What strange and disturbing things lurk in the backwoods of Wisconsin? Check out the Wisconsin Paranormal panel at the upcoming Wizard World Comic Con in Madison for a taste of our great weird state’s ghosts, monsters and other unexplained phenomena. The panel will be moderated by Tea Krulos, author of Monster Hunters, with experts Allison Jornlin of Milwaukee Ghosts-Tours and Investigations, Mike Huberty of the See You on the Other Side podcast, and Goatman: Flesh or Folklore? author J. Nathan Couch. 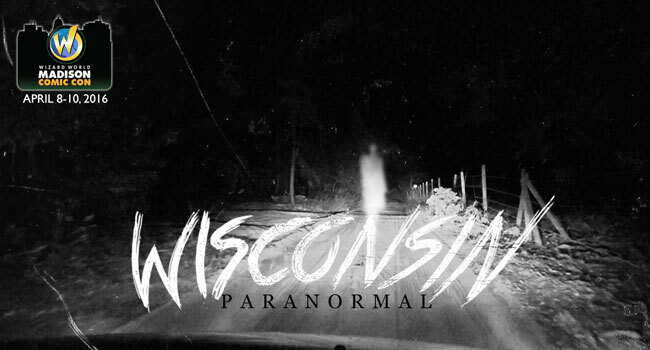 They will be discussing Wisconsin’s infamous ghost stories, UFO sightings, and encounters with unexplained entities like the Beast of Bray Road and the terrifying Goatman. They will also be giving a preview of the Milwaukee Paranormal Conference happening this October.